Techland, developers of forthcoming post-zombie(ish)-apocalypse survival game Dying Light, today released a gameplay preview showing the player having to deal with the changes that come between day and night. Viewed from first person and utilising parkour skills to get around, first impressions lead to comparison with DICE’s Mirror’s Edge; however, Faith never had to cope with hordes of “infected”, zombie-like wanderers filling the world. The video follows the initial journey through the day, where the crowds are slow and fairly easy to avoid, distract or just kill; however, when night falls they come more alive, increasing in aggression and both running and climbing after our poor survivor. 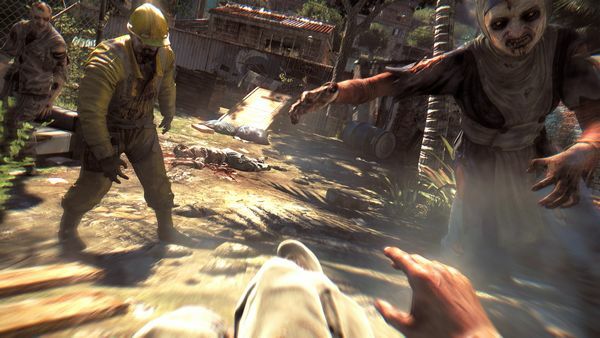 Dying Light is due for release on PC, Xbox One, Xbox 360, PS3 and PS4 in 2014. I still maintain this is one to watch in 2014 – had great fun when I played it back in September and that was just the daylight portion of the game!